It’s funny how in recent times, quite a number of people have asked me about my hair. They say really nice, complimentary things, ranging from the generic, “I love your hair! It always looks so good!” to complimenting my awesome stylist at Shunji Matsuo Ngee Ann City, Fannie, by commenting on my ever-changing hair colour (she last gave me a lavender ash which has since settled in to a flattering ash blonde shade), to the kind that really baffles me, “Your hair looks so full and thick!”. I find this baffling because my natural hair is fine – and stick-straight. Only those who have known me from school days know this to be true. These compliments also baffle me because while I’m generally content with my God-given appearance, if I could change one thing about the way I look, it would actually be my hair! When rebonding was all the rage in the late 90s thanks to the likes of Gwyneth Paltrow and company, people would then ask if my schoolgirl, natural hair had undergone the chemical straightening treatment! Looking back now I guess it was a sort of compliment, but it drove me nuts then. I never understood why people would spend good time and money to get their hair flat and straight! I never understood why, when here I was buying every texturising product that promised waves/curls/body – which is also the reason why not many people know the natural texture of my hair! I have chosen to fight the limp straightness with chemical treatments (NOT rebonding! ), clever styling and the use of good hair products. For the longest time, I would get my hair permed every three to six months. Here was my hair 7 years ago in 2009 – do not be fooled. This was permed and painstakingly professionally styled…to look like it wasn’t styled. It’s only this period with all the bleaching damage from the colouring and highlights that I’ve given the perms a break (not my choice, I’ll admit – Fannie thinks the current hair state will not be able to withstand a perm and has refused to do it for me). 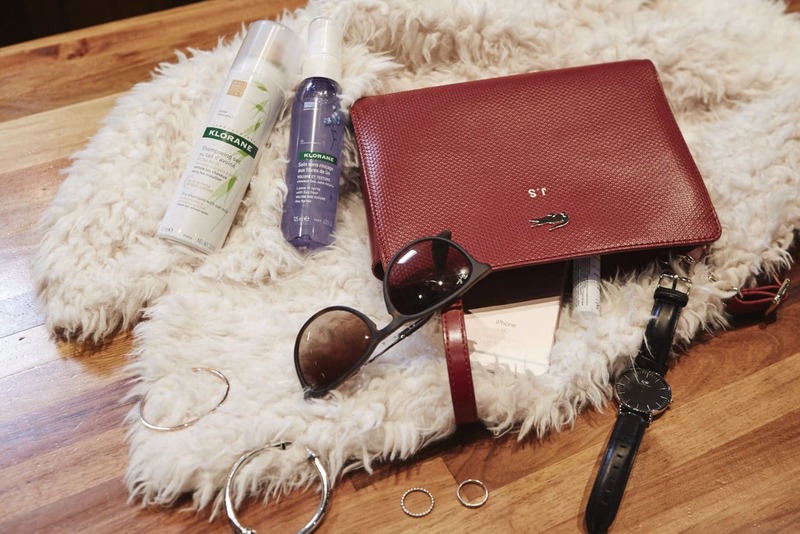 The number one favourite product in this arsenal is dry shampoo. If you’ve never heard of dry shampoo, well, you’ll thank me later. I discovered this when I was in university. I was (still am!) a magazine junkie, and I would spend good money each month on fashion magazines, both local and foreign. 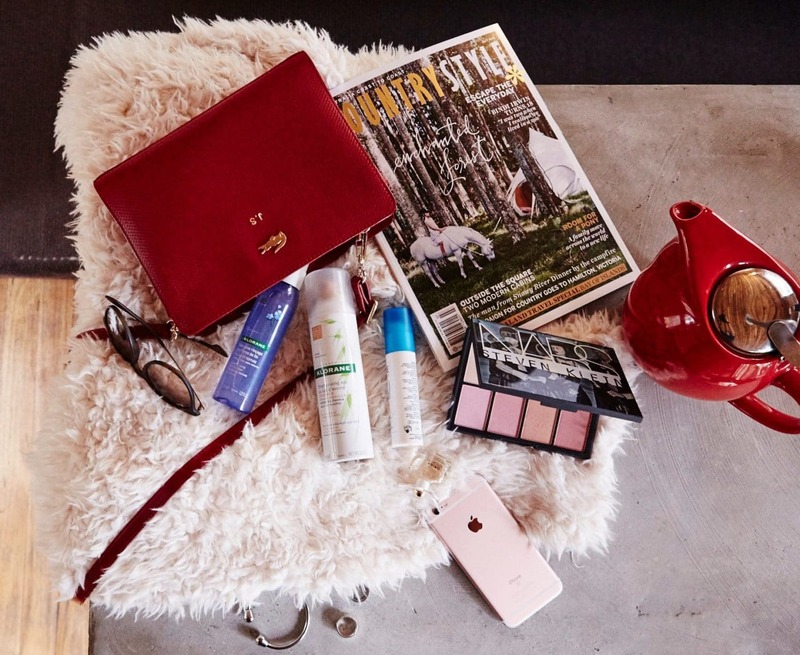 There would always be some story on hair, and every so often I would see “dry shampoo” pop up as a way to either style, get out of the house fast or to refresh one’s look in the evening for a date. I was fascinated. A shampoo that could be used dry? Where would I find this sorcery? It could not be found in Singapore then. I know; I looked everywhere. Then I went to New York for a holiday and managed to find it in a drugstore. I brought it home and sprayed it at the roots of my day-old hair, just like it said on the packaging, then brushed it out. It was like magic. Not only were my roots no longer oily, but my scalp ad hair smelled clean again, and most importantly, looked fuller! Truly, what sorcery was this! I used to stock up on the stuff whenever I travelled and found it, or I would ask friends to get it for me when they did. Fast forward to today where the likes of Sephora have brought many products that once could not be found in Asia, to Asia, dry shampoo being one of them. Drugstores like Guardian and Watsons have also finally seen the light and have started distributing the stuff. There is more than one brand now that carries dry shampoo in their lineup of products, which means these days I actually have *gasp* choice. I have tried a few brands, but I find myself going back to the brand I started with those years ago, Klorane. You see, some brands’ dry shampoos have a funny smell. I’m not going to mention names, but there are brands that try too hard with coconut/fruity smells. I like fruity smells in normal shampoo, but anyone who has used dry shampoo extensively will tell you that such scents don’t work when mixed with an oily scalp. Then there are brands that have an acceptable scent, but they leave my scalp itchy. Some seem to get rid of the excess oil by piling on powder – this builds up to a look that is not attractive. There was one brand that I thought to be decent. It however costs almost fifty bucks a can, which I think is a little extravagant. The dry shampoo by Klorane is my top choice for a few reasons: it does the job of cutting shine, it makes my hair fuller and gives the appearance of having more body, it is kind on my scalp (it doesn’t itch and is supposedly sulfate, paraben, sodium chloride and silicone free) and it is well-priced at below S$15 a can. I have also started using Klorane’s Dry Shampoo with Oat Milk just to add body and texture to my fine hair. It is especially good at giving a lift at the roots. It works even without styling and it even works on dry hair for a boost of volume and texture, with none of that awful stiffness or dryness that are in some volumizing products (I should know; I always try the products that promise volume!). There, secret #2 revealed! Finally, cleansing. I alternate between shampoos, mostly because I get bored of smelling the same thing all the time, but also because my hair has many needs and concerns (coloured, fine, limp, damaged) that I try to address with the different shampoos. I use a colour one some days, but colour shampoos have the unfortunate result of being a little heavy and they leave my hair smoother and flatter than I would like sometimes. The same is true of shampoos for damaged hair. I use clarifying shampoos every so often to clear my hair and scalp of buildup and to keep it clean. 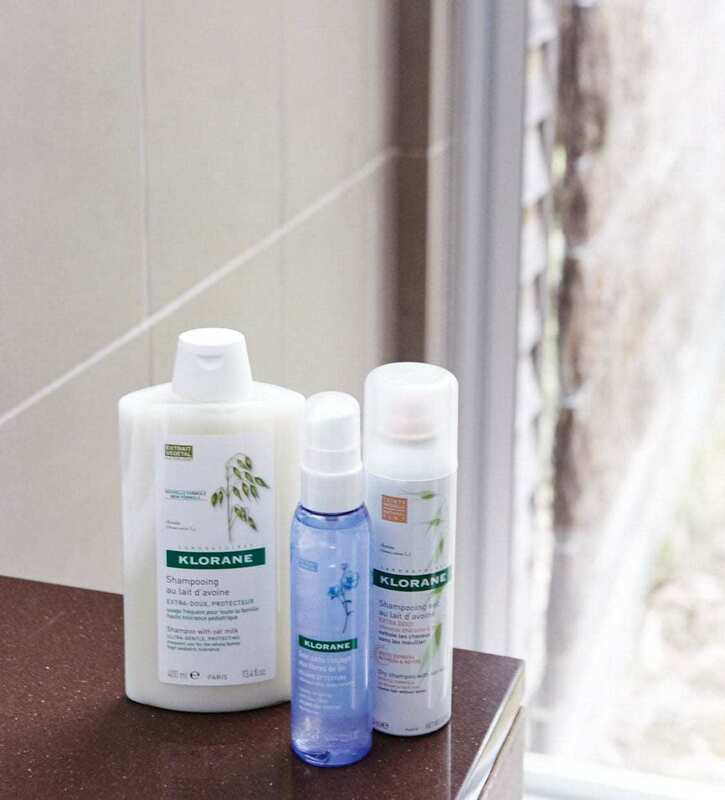 On the other days, I give my hair a break with mild shampoos that also clean well and leave hair soft – but not limp. 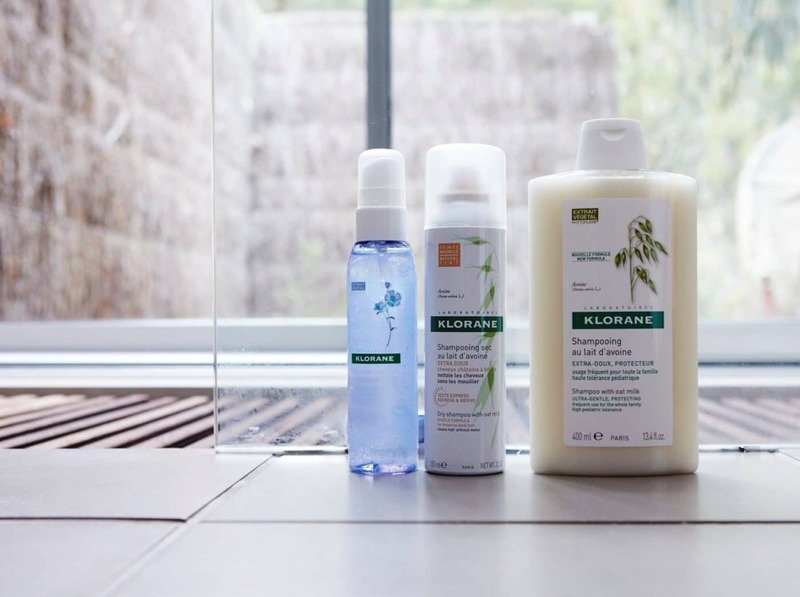 One of the gentle shampoos that I like is the Klorane Shampoo with Oat Milk. I got this because I saw it contains the same ingredient of oat milk as my favourite dry shampoo, and found it to be really gentle on my hair and scalp. It has apparently been tested to be safe even for children, so it must be caring and good for frequent use. It also has that same clean, comforting smell that I like. These are some of my preferred hair care products that I’ve found through trial and error over the years. Share with me some of yours please so I can try them out too! Simply ‘like’ and share the above post, and remember to tag me @jadeseah and hashtag #kloranesg in your shared post!